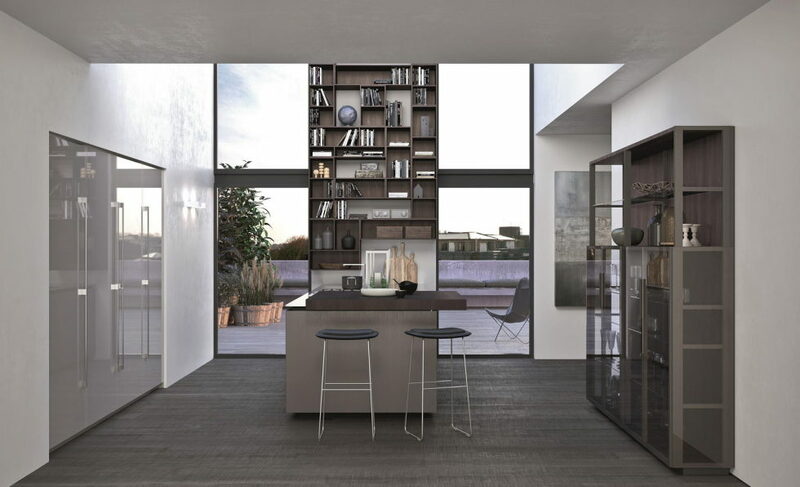 A loft is normally a light, airy and spacious living solution, usually located in a disused industrial or commercial space. 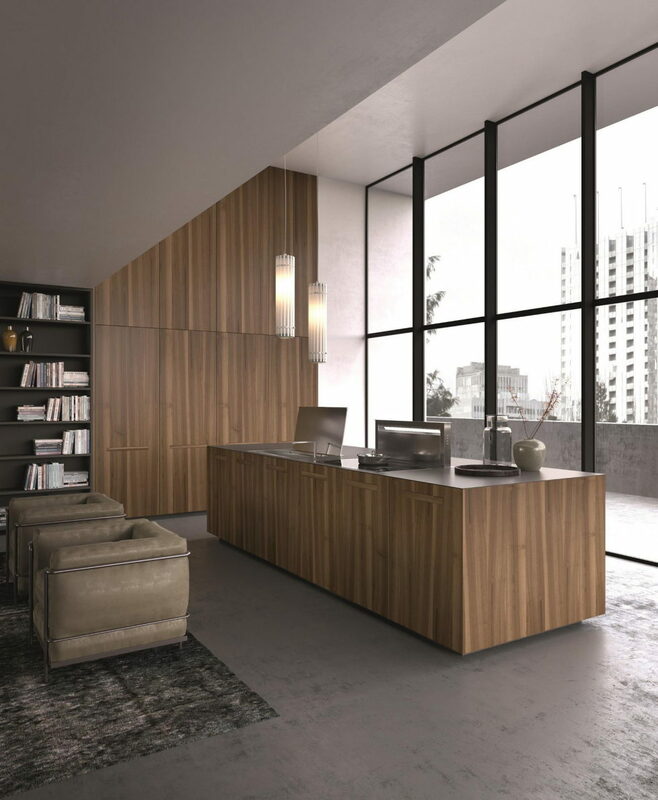 Its trademark features are high ceilings, large windows and virtually no dividing walls. 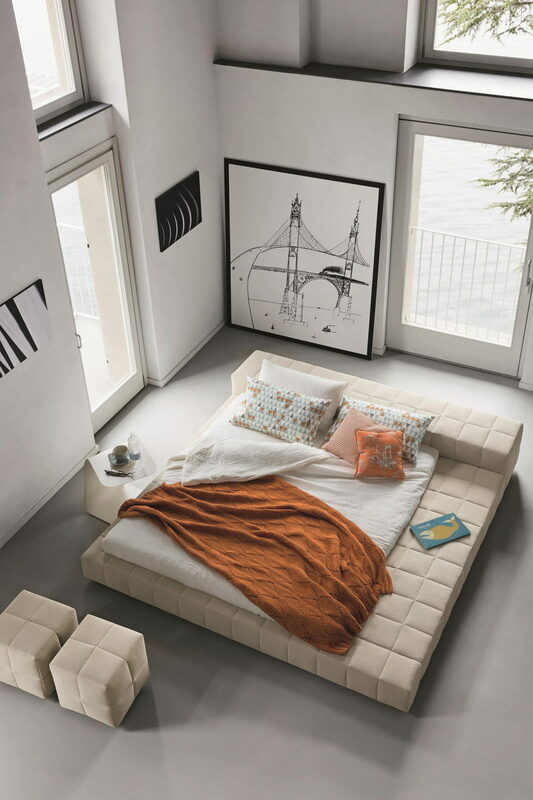 Even if a loft is usually very big, it is a single open space and includes all the house’s living spaces in on e single room. 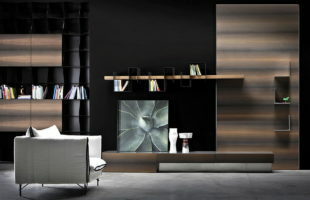 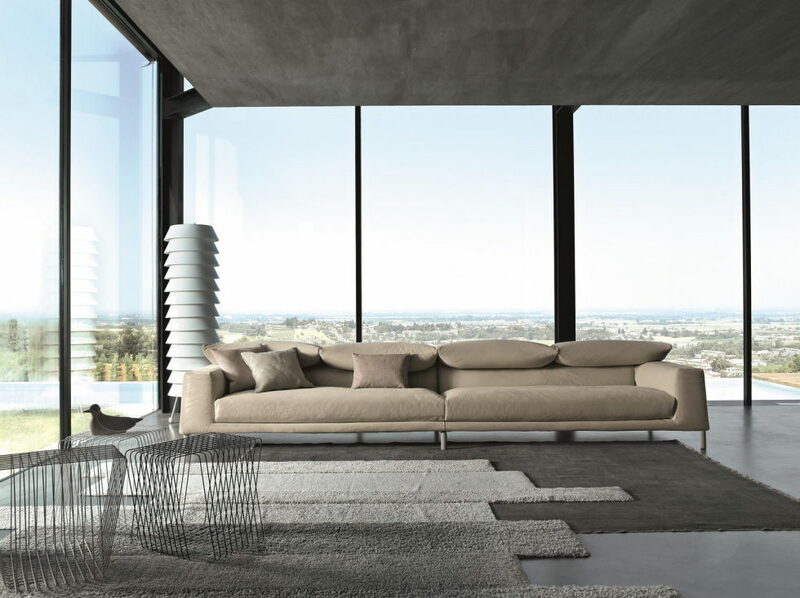 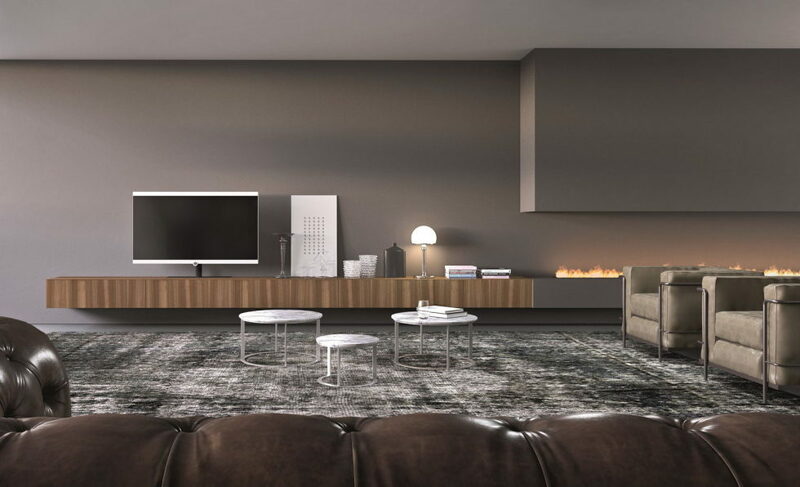 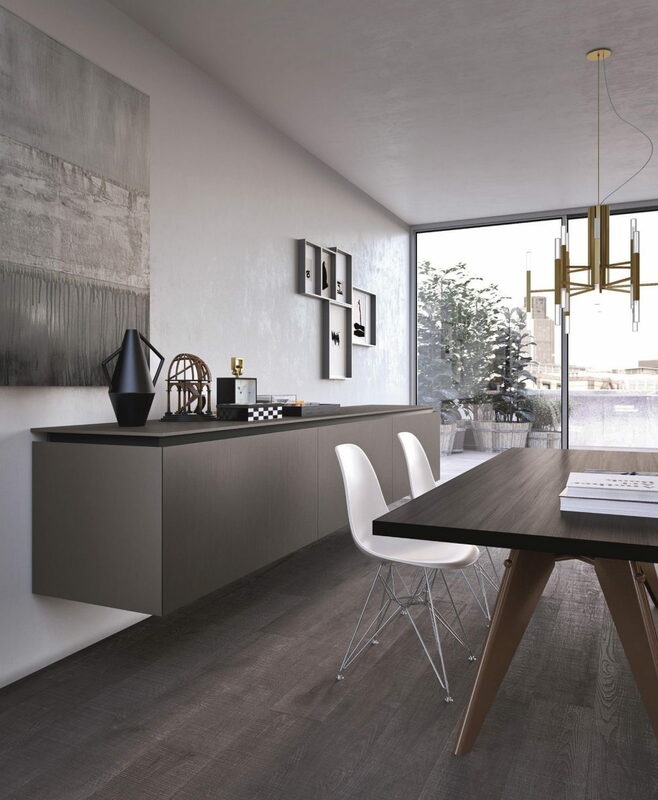 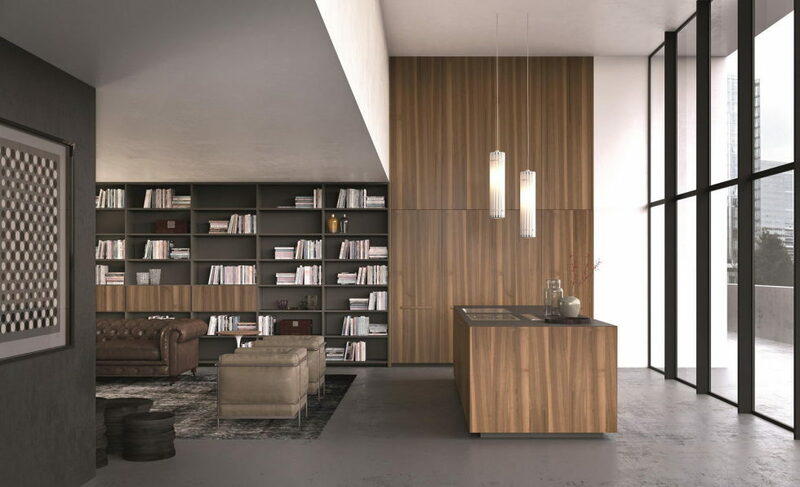 In order to live well and feel at ease in a loft, we have to take care at the design and interior furniture. 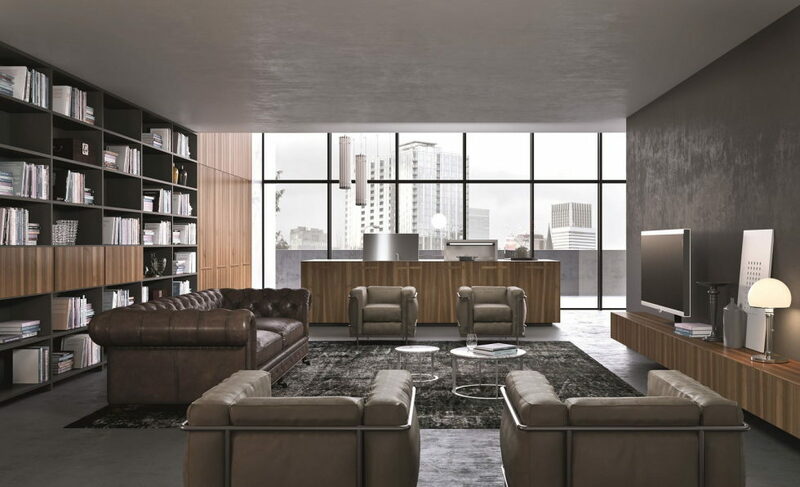 Any furniture item that can be placed in the centre of a room can be really helpful to furnish a loft. 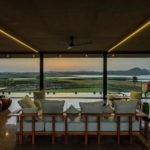 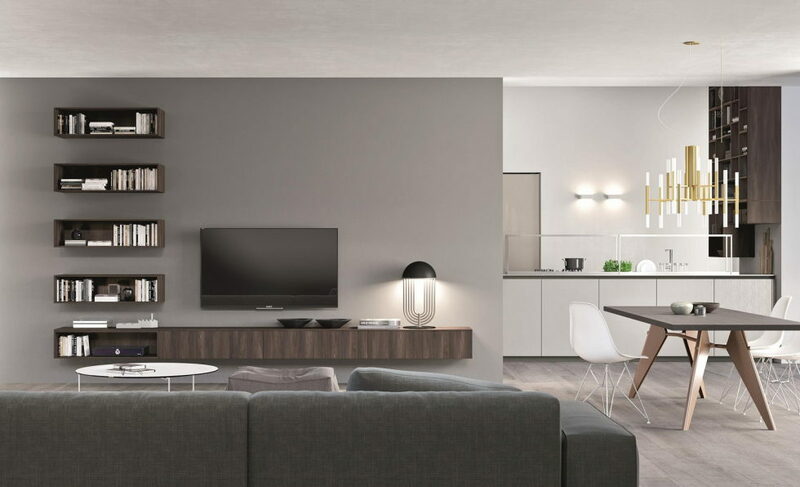 Not only the kitchen island, but also tables, sofas and even beds can be positioned away from walls and can sometimes be used to divide spaces within a room. 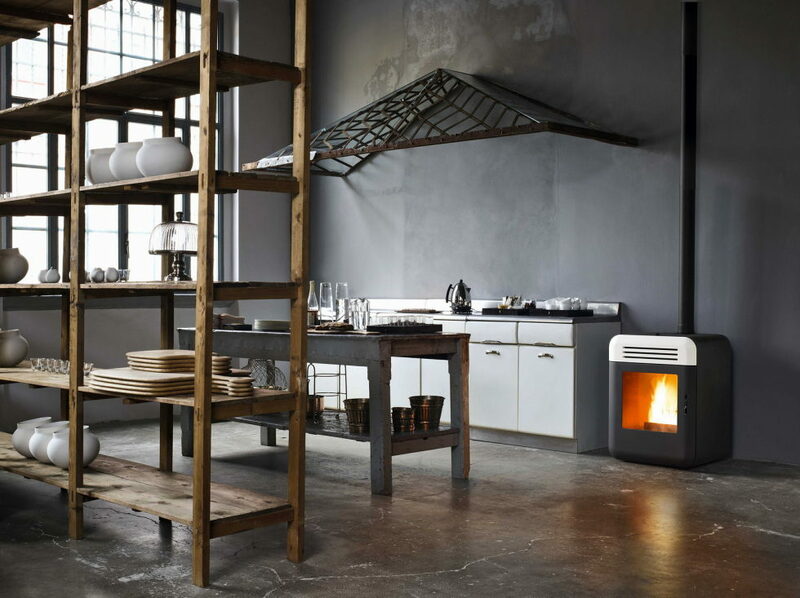 Furniture has to be in line with the industrial aspect of a loft. 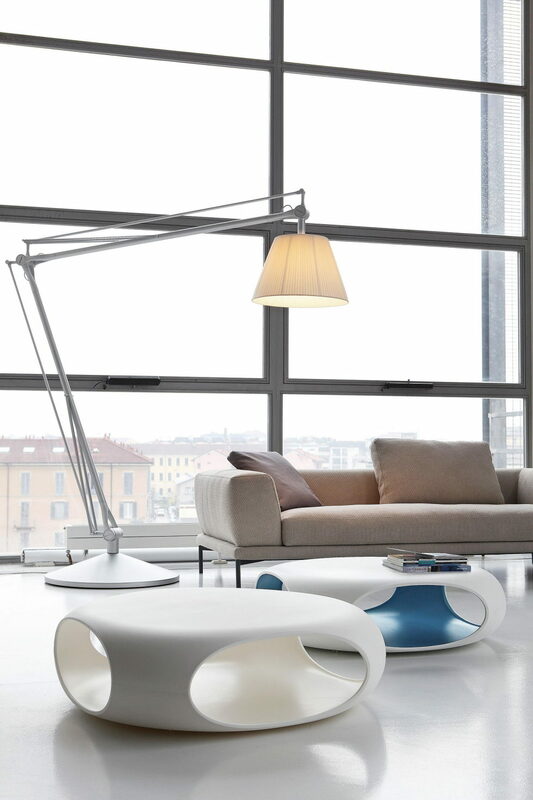 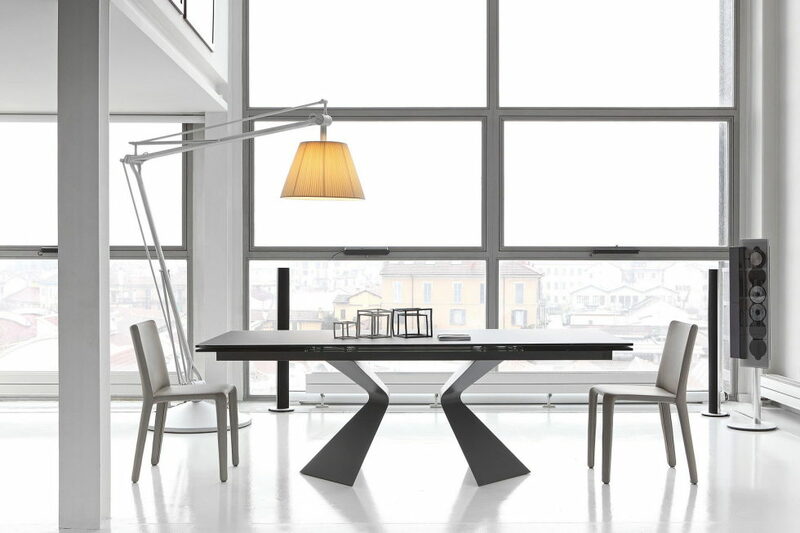 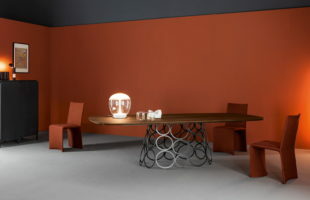 Minimalist design furniture can enhance the perception of infinite space. 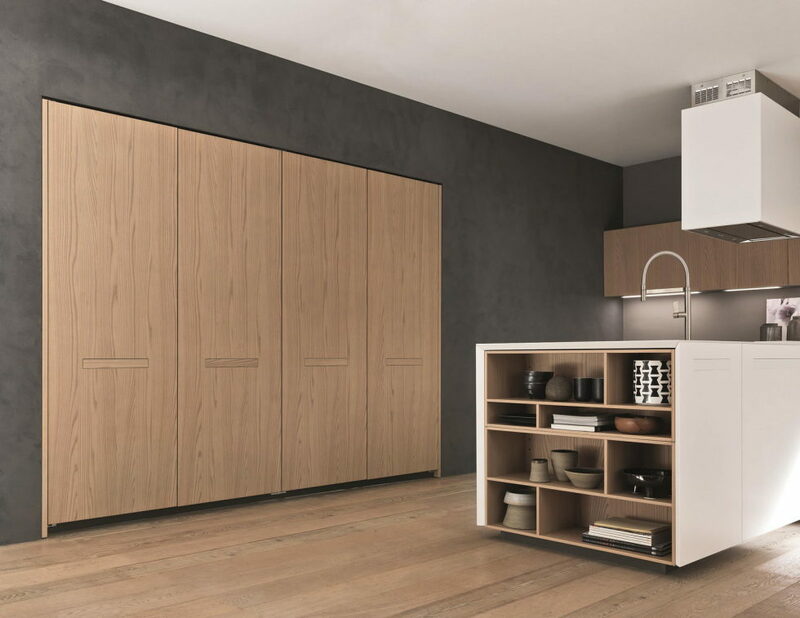 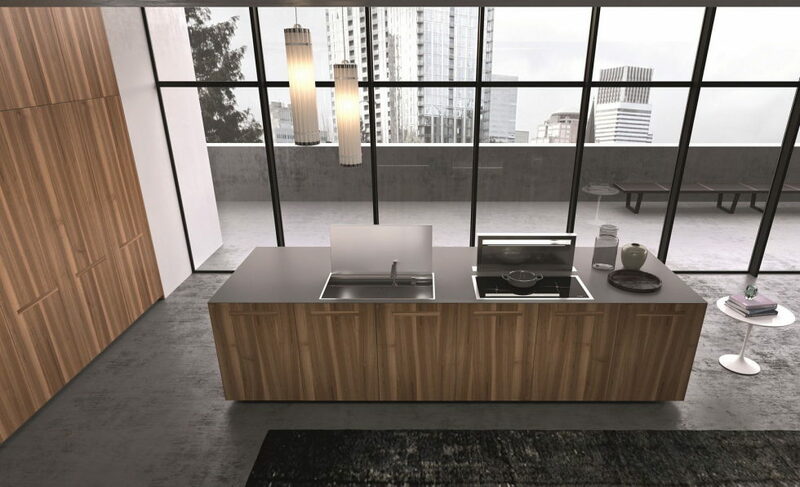 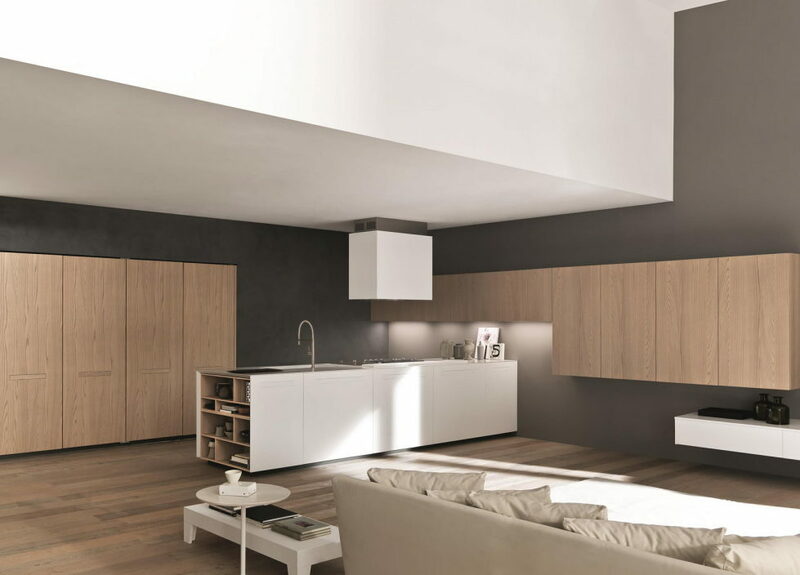 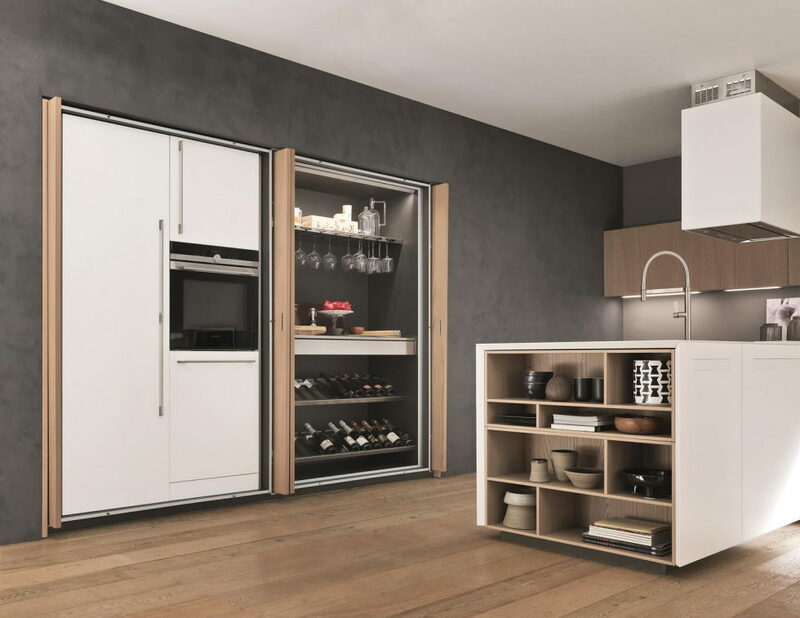 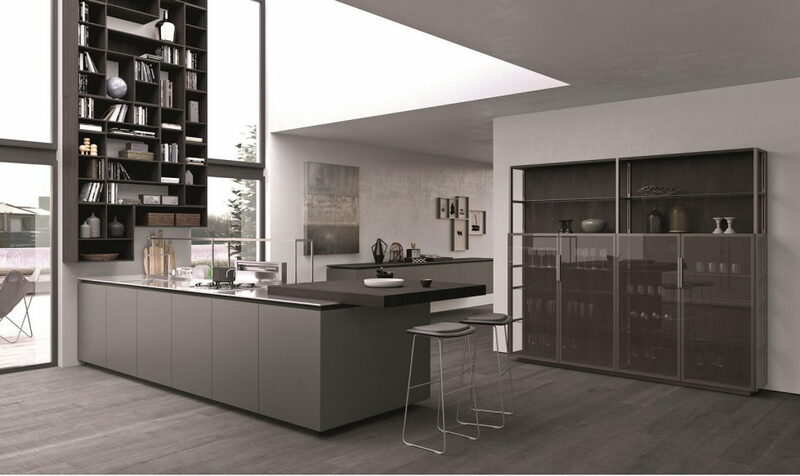 A kitchen featuring strong geometric lines, elements that can be hidden and continuity with the living area is perfect in a loft and can enhance its architectural structure. 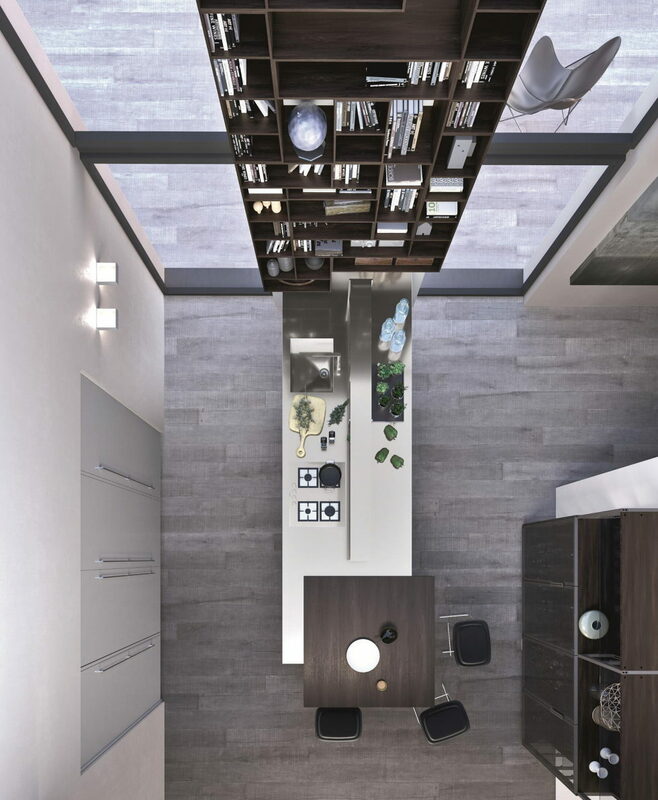 Unlike in more conventional living spaces, the flooring in a loft is seen in its entirety. 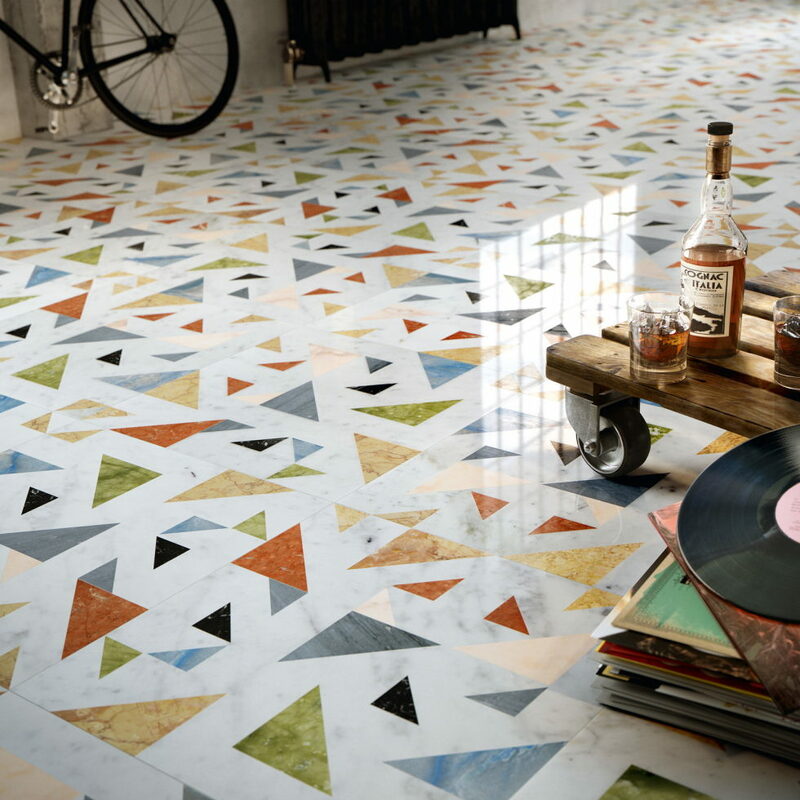 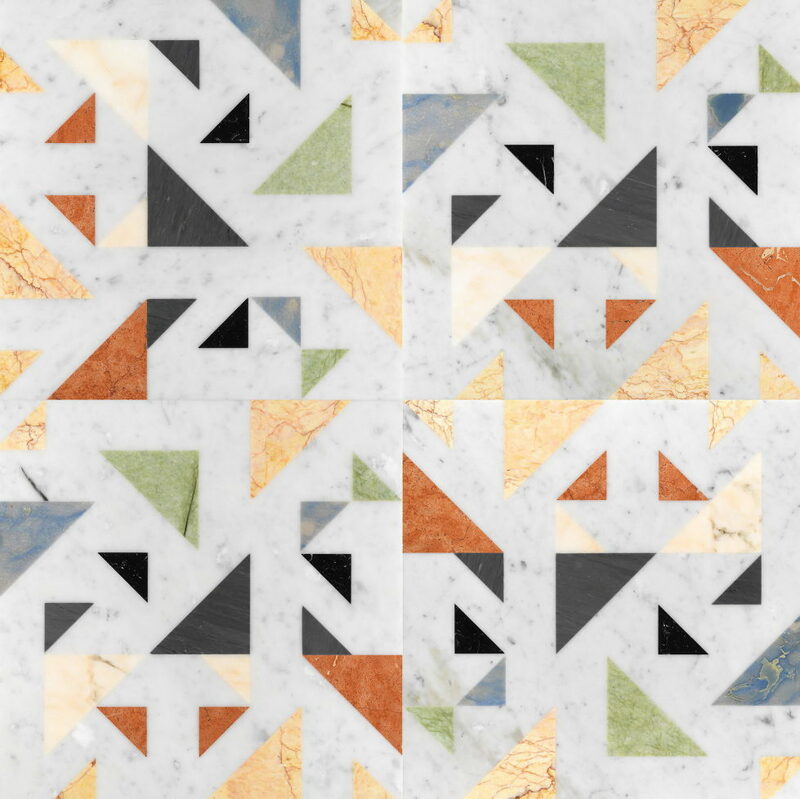 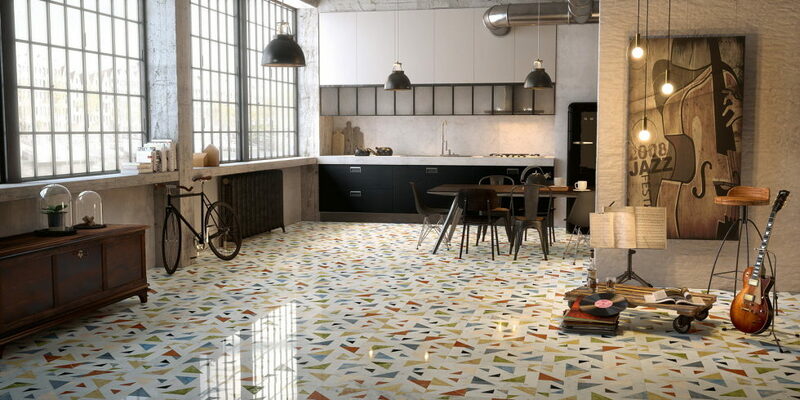 Thanks to the marble floor cladding by Lithos Design, the loft acquires a touch of uniqueness and colour. 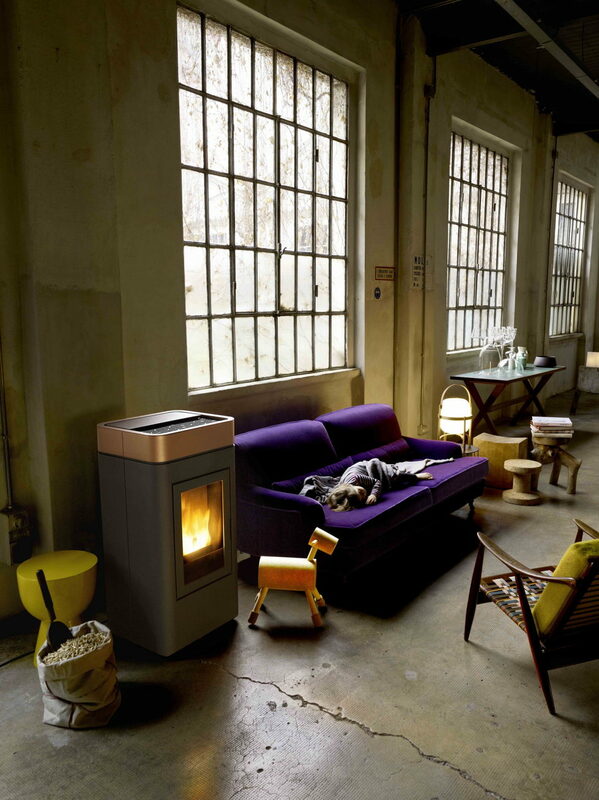 A spacious, open-plan loft needs the right heating solution, which can easily be achieved using only one product. 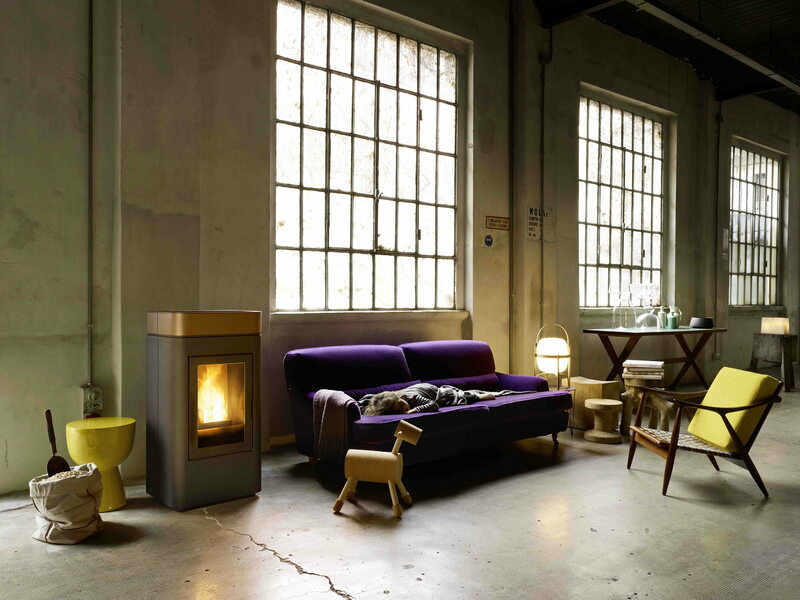 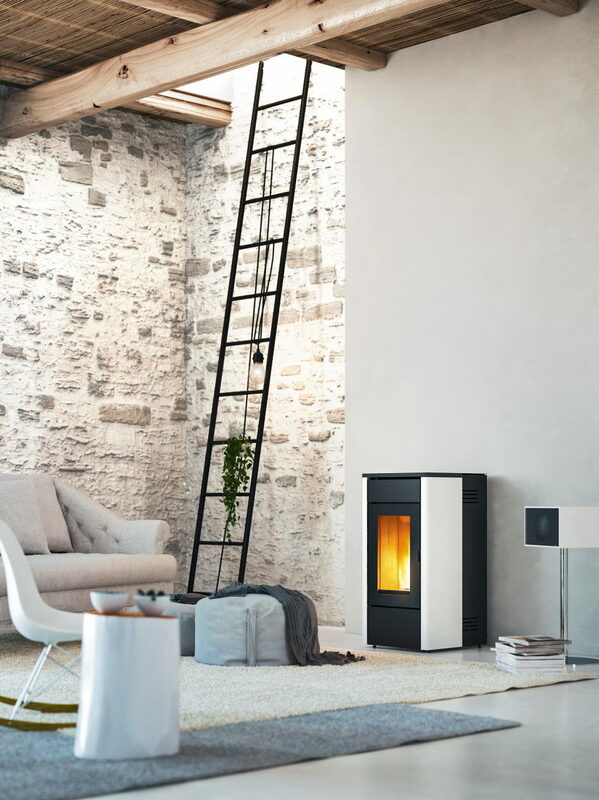 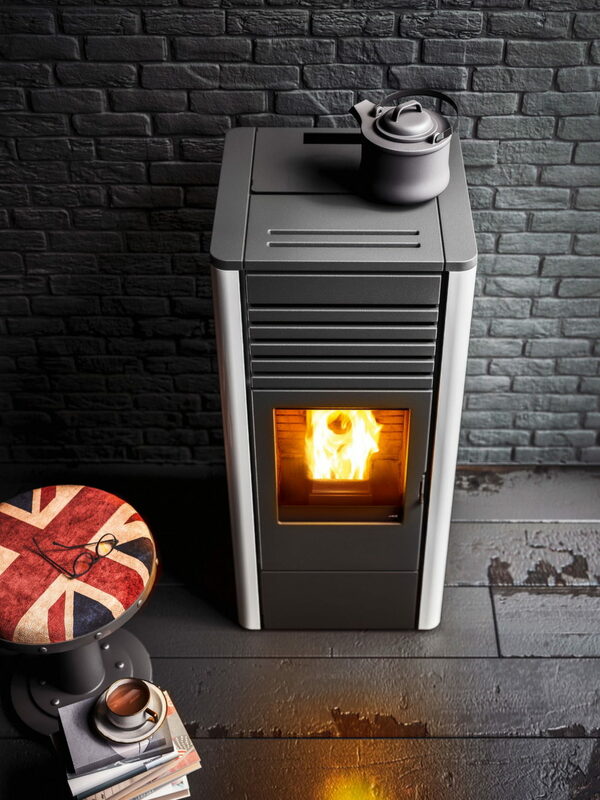 The design of MCZ pellet stoves is perfect for the industrial space of a loft and makes it easy to be controlled remotely. 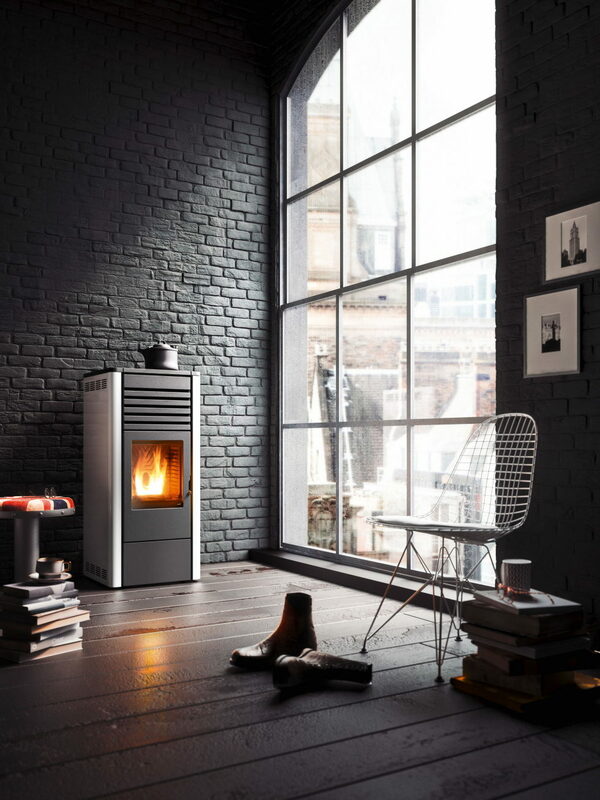 A powerful but extremely quiet ven tilation system enables these stoves to heat the whole loft and can fully replace traditional gas boilers.